Stock your pantry with tasty essentials. 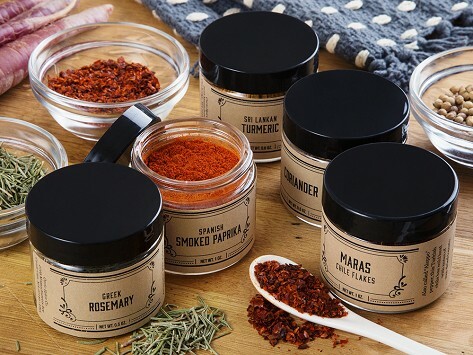 This starter spice set covers the basics in a better way. The spices are all directly sourced from farms and growers for purity and freshness. Pick five must-have spices to take all of your cooking in a flavorful new direction. Dimensions: 12.5" x 2" x 2.5"